As many of us know already, Jiyeon and Hyomin have been appearing on various pictures shared by some fans on Instagram, FaceBook, Twitter and a Naver blog! It seems like Jiyeon and Hyomin were going on a trip to Tokyo, according to Shim Ho Young, one of the fans that shared pictures of them with Jiyeon and Hyomin. Shortly after this and a few more pictures were shared, another fan posted a picture of him sitting beside Hyomin and Jiyeon in a plane! 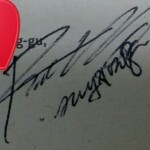 He updated his Naver blog later that day with more pictures and even signatures by the girls. Just when we thought that these could possibly be old pictures, a stylist that was roaming the streets in Japan with what seemed like his child, shared two pictures of him and the girls. We can clearly see that they were wearing the same clothes as in the pictures shared earlier by the Koreans! 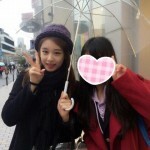 Just earlier today, more pictures (just Jiyeon though) surfaced on a couple of Japanese fans’ Twitters. Credits to here and here. Judging from the pictures, it seemed like no MBK staff members were around them, or they could be nearby. 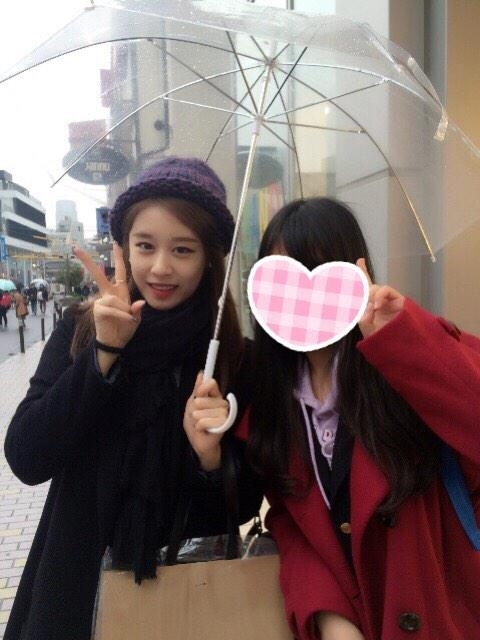 It is still a mystery as to why Jiyeon and Hyomin are currently in Tokyo, Japan. There should be Hyomin pictures surfacing soon, too! 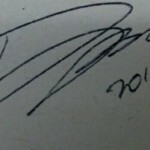 Stay tuned to Diadem for more updates*! *22th January 2015 22:19 KST update from here. *Article will be updated when more pictures surface and/or official news of why Jiyeon and Hyomin are in Japan.